The new Poverello Center is a lot safer than the old Pov. Drug dealers no longer hover in plain sight. I know, I was one of them. I got out of treatment in June and arrived at the Pov broken and homeless. A bed came with a 9pm curfew. 7 days a week after breakfast everyone is out the door by 8am. Every morning for the last 5 months I’ve had the privilege to go write my story at the University Library, then I return to the Pov for lunch, walk to the noon NA meeting at the 4D club and then return to volunteer for the Pov. Over these past few months as part of the Pov’s Resident Volunteer program I have painted most of the inside of the building. Staying busy writing and volunteering, and being walking distance to the “4D Club” recovery and community building has helped me stay clean and sober. While in treatment my journal writing became my life story. Lucky for me, Barry Maxwell and another volunteer named Amanda, holds a creative writing workshop at the Poverello every Friday. With the Holy Spirit’s love, Poverello structure and support, narcotics anonymous guidance, Barry’s advice, and Julie’s (librarian at the University) kindness I have been able to transfer 1000 journal pages into a 300 page memoir. While living at the Pov I co-exist with others suffering from some form of hardship. People are here because of bad luck or bad decisions. There are people with mental challenges and people facing addiction. There are veterans struggling with the consequences of going to war. There are lots of reasons people are here but what I have learned is that we are all in this together and have to take care of each other. Two years ago, the Whitefish paramedics saved my life on two separate occasions when I overdosed. Not long ago, early one morning, I was unlocking my bike in front of the Poverello and an ambulance was parked there. A paramedic had his back to an oncoming SUV. I saw what was unfolding and shouted “Get out of the way!” Bam! The SUV smashed into the parked ambulance. The paramedic barely stepped out of the way. The blessing is I feel I was able to pay back those paramedics two years ago. Now I am paying it forward by staying clean and helping others work their 12 steps. 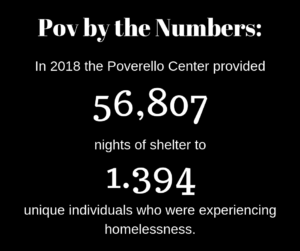 The true heroes of the Poverello staff are the the folks who are at our front desk and work day to day with our clients. Louis Ruiz is one of our two Lead Direct Service Staff. For the past 2 1/2 years he has taken the lead in conducting housing assessments with new clients, supporting existing clients with their housing goals and generally caring for all the people who come through our doors. 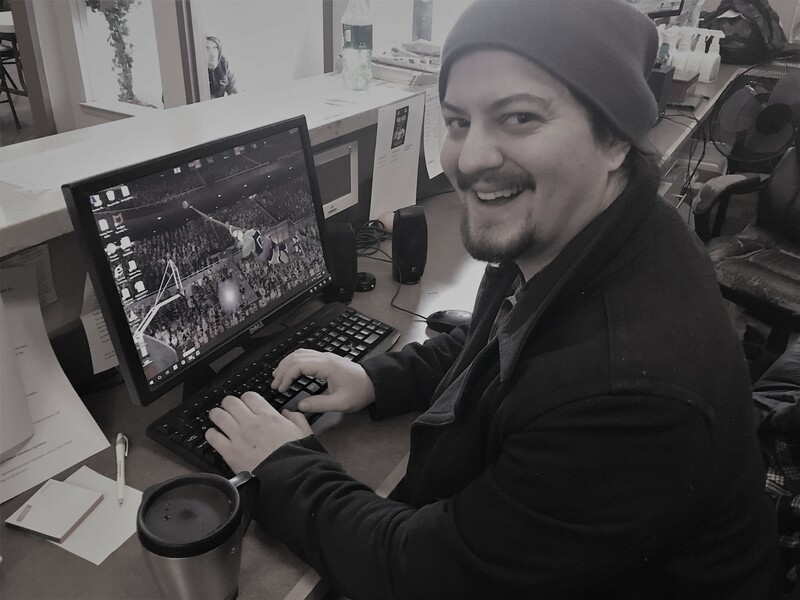 Recently he has been our point person in implementing our new client database that is integrated with other services providers in Missoula and across Montana. 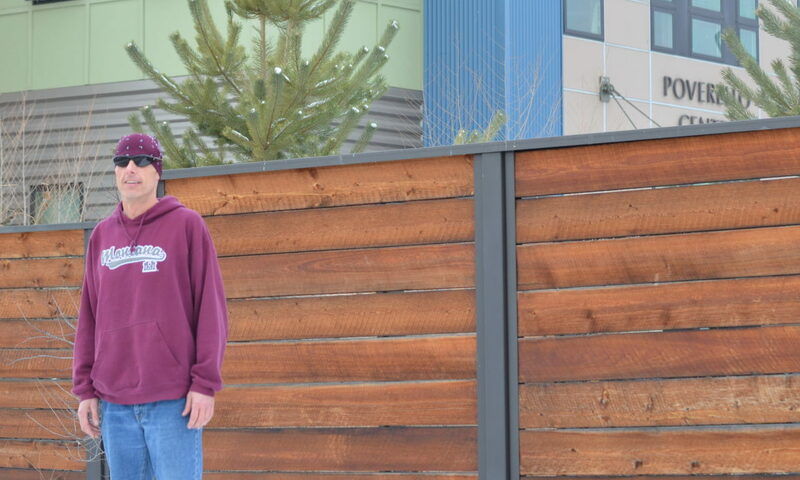 Louis loves working at the Poverello Center because there is always something new happening here and he gets to help make Missoula a more just community by helping our most vulnerable neighbors. Thank you Louis for all you do for the Pov! Keegan got started with the Poverello in 2012 at the beginning of the capital campaign for the new building. She was hired through a contract with ALPS to provide technical assistance and coordination for the campaign. Throughout that processes Keegan fell in love with the people and the mission of the Poverello Center. Keegan reflects on her work, “I fell in love with all these great people working their asses off to build that shelter. 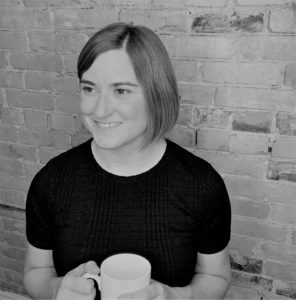 And I also really appreciated what the Pov was doing and how they approached their work.” Keegan joined the board in 2015 and stepped down when her term was up in December of 2018 after serving two years as the board President. 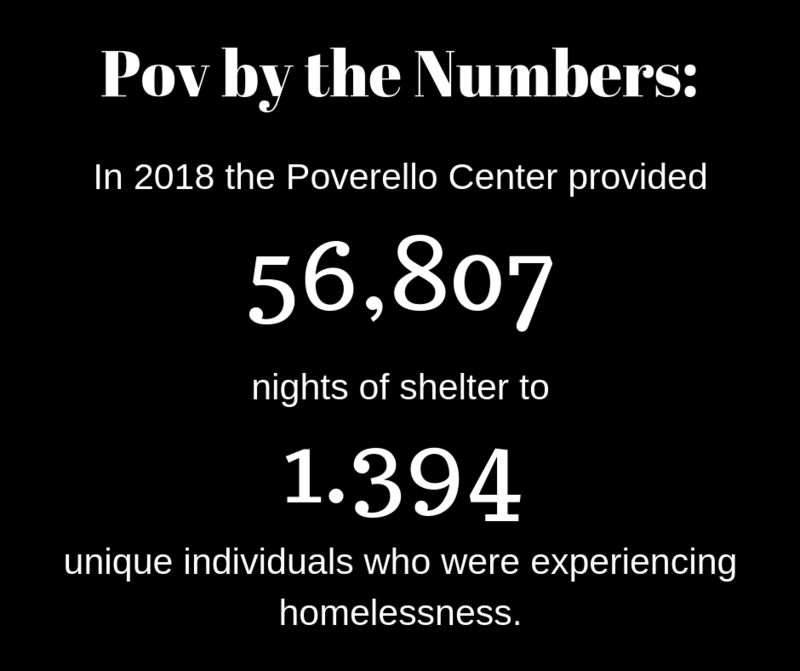 She is most proud of her work in helping to hire the Poverello Center’s current Executive Director, Amy Allison Thompson, and helping build the Pov’s fundraising strength through some large donor asks. Keegan was also known for bringing in a stack of pizzas or a plate of cookies for staff to show her appreciation for the hard work they do. “Since I became the Executive Director Keegan has been instrumental in helping us build the capacity of the Pov both to more effectively serve our clients but also to be a financially secure organization. She did this with both her strategic thinking and her ability to help us raise the money we needed to get there.” said Amy Allison Thompson, while describing Keegan’s impact. Now that she is off the board Keegan is going to take a year off serving on nonprofit boards while she launches her new nonprofit consulting business Flaherty Consulting (www.flahertyconsult.com). The whole Poverello family thanks Keegan for her years of service and wishes her good luck with her new endeavor!